There are 36 Assisted Living Facilities in the Sherwood area, with 2 in Sherwood and 34 nearby. To help you with your search, browse the 198 reviews below for assisted living facilities in Sherwood. On average, consumers rate assisted living in Sherwood 4.1 out of 5 stars. Better rated regions include Wilsonville with an average rating of 4.2 out of 5 stars. Caring.com has helped thousands of families find high-quality senior care. To speak with one of our Family Advisors about assisted living options and costs in Sherwood, call (855) 863-8283. When it was founded in 1889, Sherwood was originally called Smockville, but no one, not even the Smock family, liked the name, so they voted for the change of name. In Sherwood, seniors have a choice of two assisted living facilities, with another 58 available in nearby cities of Portland, Beaverton and Tuallitin. These assisted living communities all provide room and board to seniors in a comfortable residential setting. Personal care services offered typically include medication management as well as help with daily living activities. 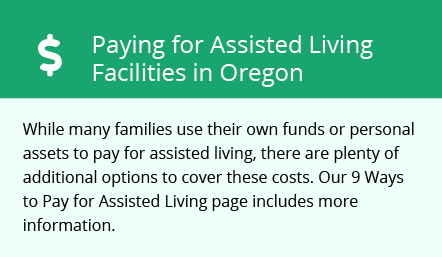 All assisted care facilities in Oregon are licensed by the state's Department of Human Services. Sherwood residents can get around town on the bus lines run by the TriMet Transit Agency, which is based in Portland. Seniors are eligible for half-price passes. Yamhill County Transit Area buses connect Sherwood with McMinnville and Newberg. The Sherwood area is home to world-class medical facilities, including the Oregon Health & Science University Hospital, Providence St. Vincent Medical Center, and Providence Portland Medical Center, all of which are in neighboring Portland, in the event of medical emergencies or illness. Weather in Sherwood is very rainy throughout most of the year, with a few dry months during the summer when seniors can put away their umbrellas. Temperatures stay relatively mild all year, though snow or freezing rain can occur during winter. The cost of living in Sherwood is 42.2 percent higher than the average cost of living in the country, making it a good choice for seniors who have an ample retirement budget. Sherwood has an array of community resources for seniors, including the Marjorie Stewart Community Center, an organization that provides exercise classes and health support programs. The Sherwood Center for the Arts serves as a gathering place for art lovers throughout the city. The center features regular gallery exhibits, art classes for all ages, screenings of classic films that seniors may remember from their childhood and performances celebrating cultural diversity. In addition, many local theatrical and musical groups partner with the center for performances, and visiting artists put on shows. Assisted Living costs in Sherwood start around $0 per month on average, while the nationwide average cost of assisted living is $4,000 per month, according to the latest figures from Genworth’s Cost of Care Survey. It’s important to note that assisted living rates in Sherwood and the surrounding suburbs can vary widely based on factors such as location, the level of care needed, apartment size and the types of amenities offered at each community. Eligible low-income seniors who need financial assistance with their assisted living costs may be able to qualify for Oregon's 1915(k) plan, also known as the K Plan, K Option, and Community First Choice plan. Oregon is one of only five states to offer this plan in conjunction with Medicaid. Sherwood and the surrounding area are home to numerous government agencies and non-profit organizations offering help for seniors searching for or currently residing in an assisted living community. These organizations can also provide assistance in a number of other eldercare services such as geriatric care management, elder law advice, estate planning, finding home care and health and wellness programs. To see a list of free assisted living resources in Sherwood, please visit our Assisted Living in Oregon page. Sherwood-area assisted living communities must adhere to the comprehensive set of state laws and regulations that all assisted living communities in Oregon are required to follow. Visit our Assisted Living in Oregon page for more information about these laws.